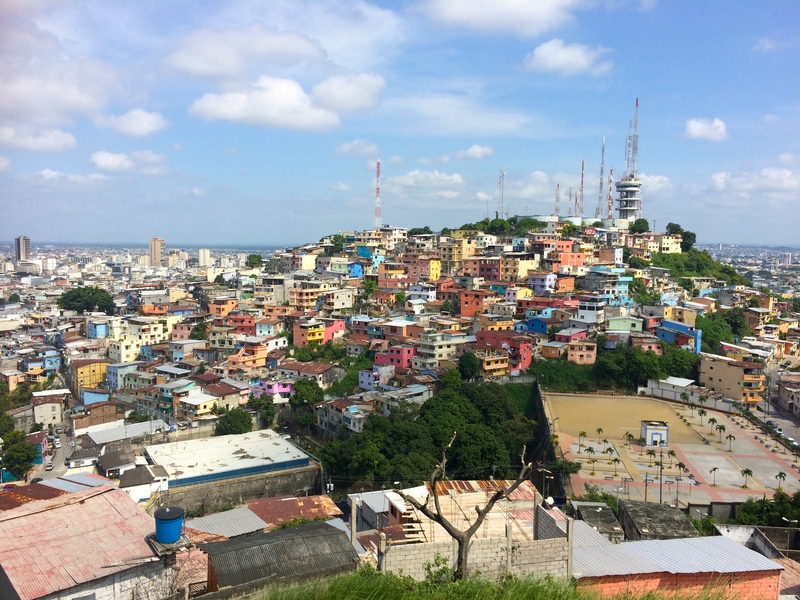 On July 4th after celebrating Independence Day in Cuenca with American retirees over hotdogs and hamburgers, we headed out to Ecuador’s largest and most populated city, Guayaquil. 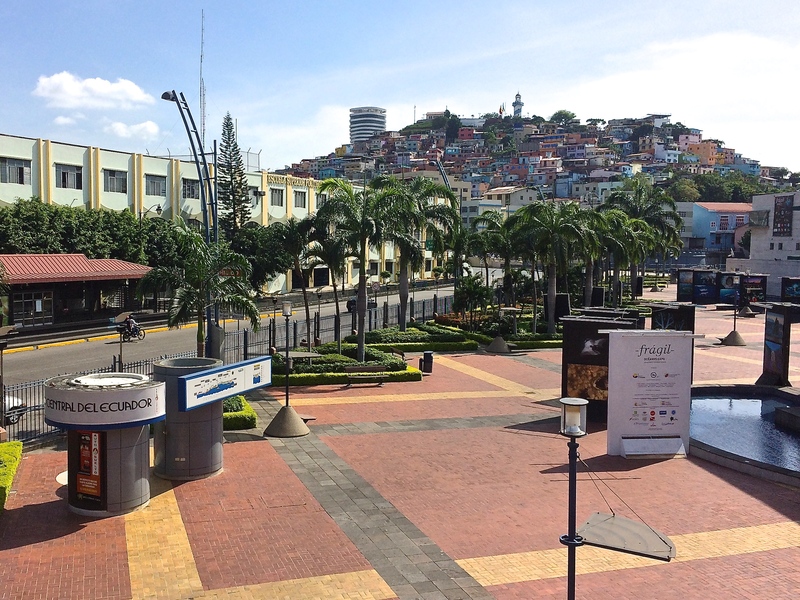 Guayaquil is really more of a 1-day stopover for tourists before visiting the main attraction. 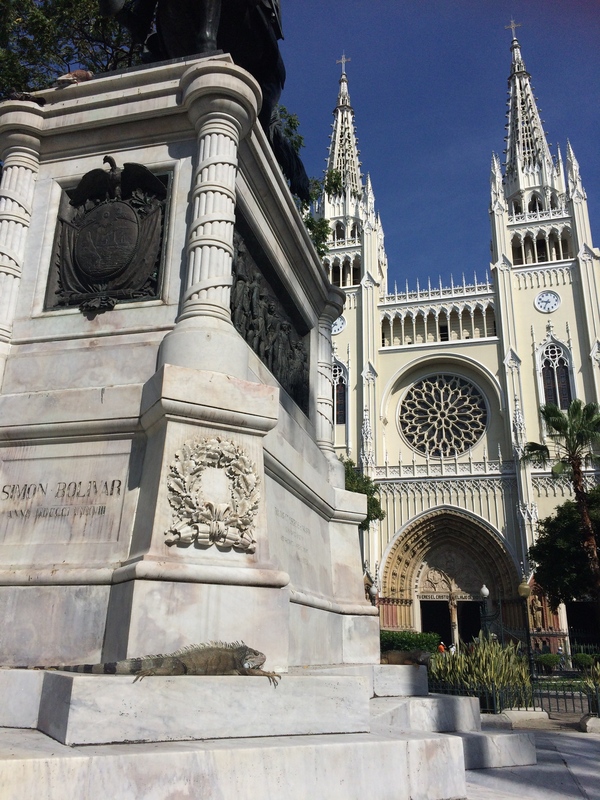 Like Lima is to Cusco and Machu Picchu, Guayaquil is the gateway to the Galapagos. 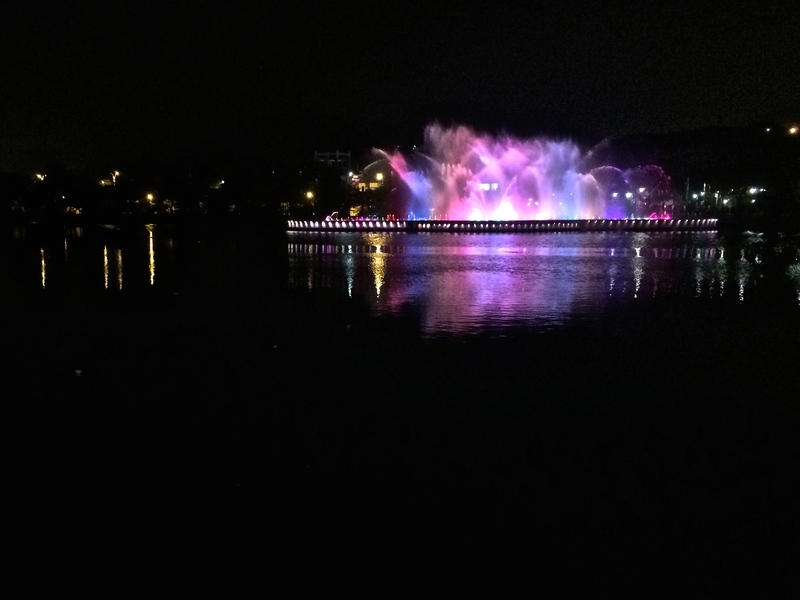 Fortunately there are just enough attractions within Guayaquil (that are all within walking distance of each other) to keep tourists entertained for the day. 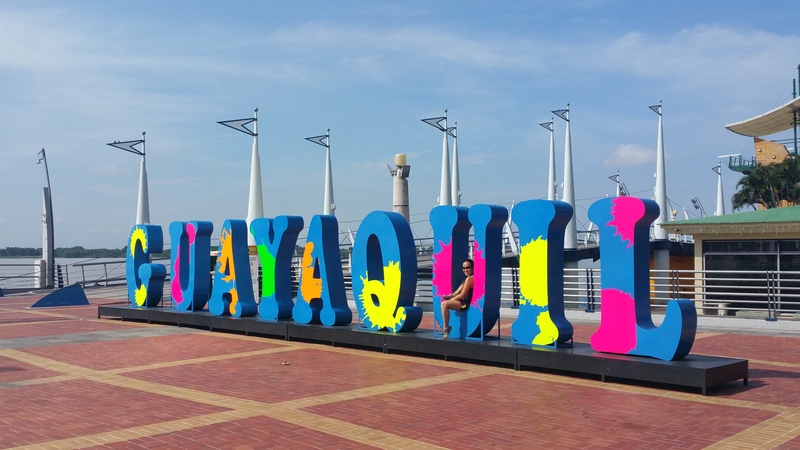 The pride of Guayaquil is Malecon 2000, the recently constructed 2.5 km boardwalk along the Guayas River on Simon Bolivar. It is alive with people, vendors, popcorn and ice cream stands, retail shops and restaurants, and monuments. 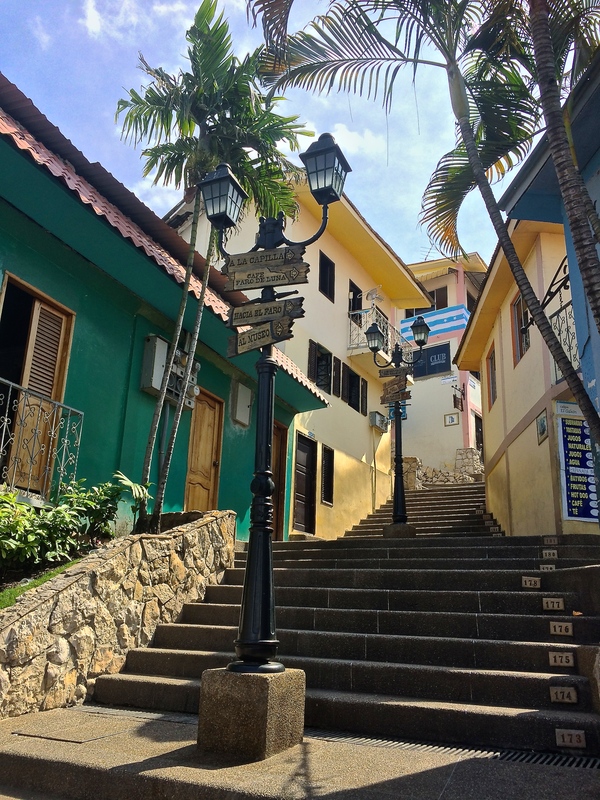 At the north end of Simon Bolivar is the colorful, historic neighborhood of Las Peñas and Cerro Santa Ana. 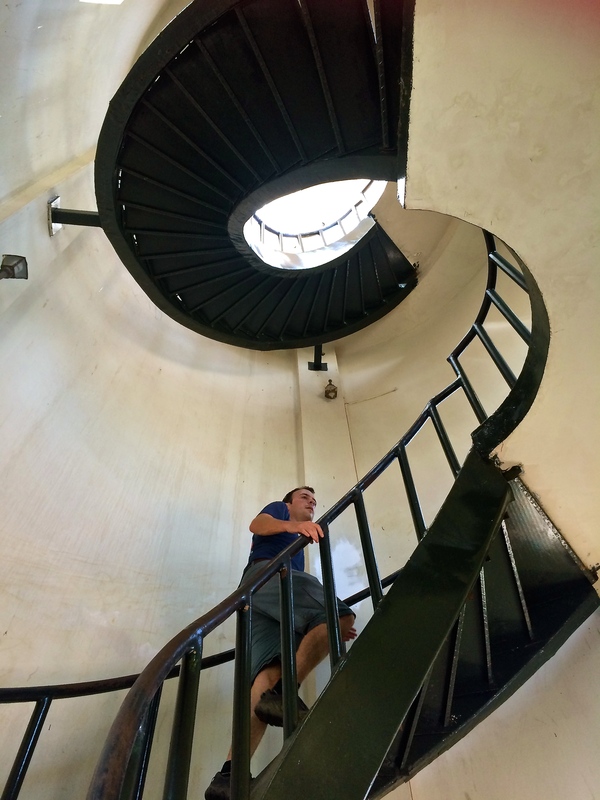 The 444 steps leading to the lighthouse at the top of Cerro Santa Ana take you through charming buildings along the way. Another pleasant river walk slightly tamer than the Malecon 2000 is the Malecon del Salado, which is best visited once the sun sets. 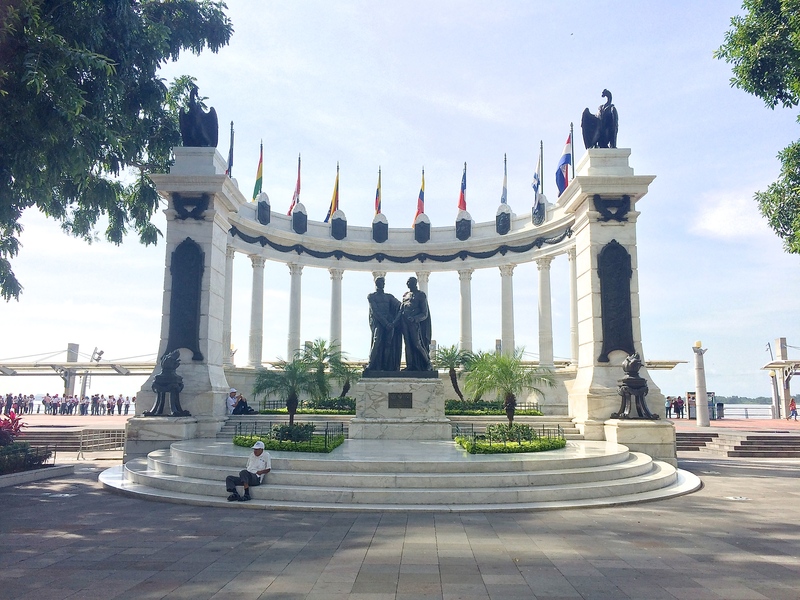 My personal favorite place in Guayaquil is the small park of Parque Seminario, more commonly known as El Parque de Las Iguanas. Iguanas were literally EVERYWHERE! 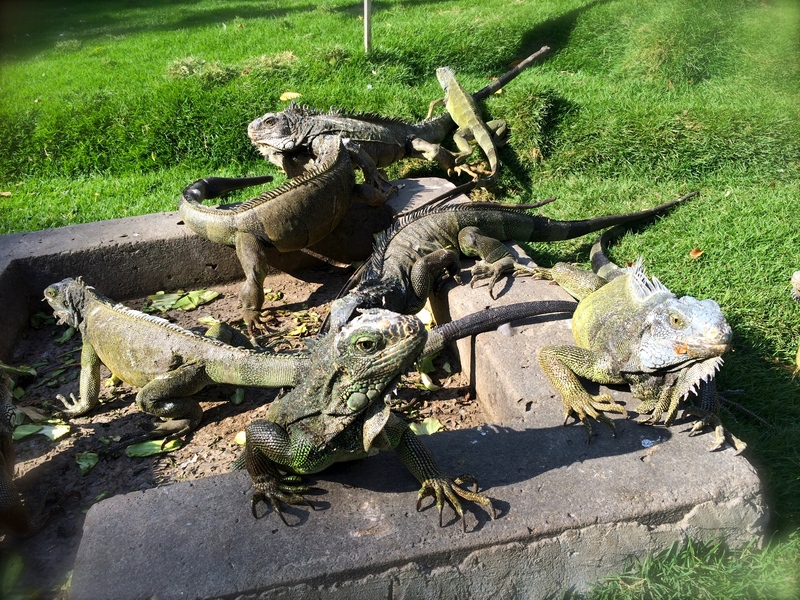 Since these were wild iguanas, their growth was not limited to a glass box. 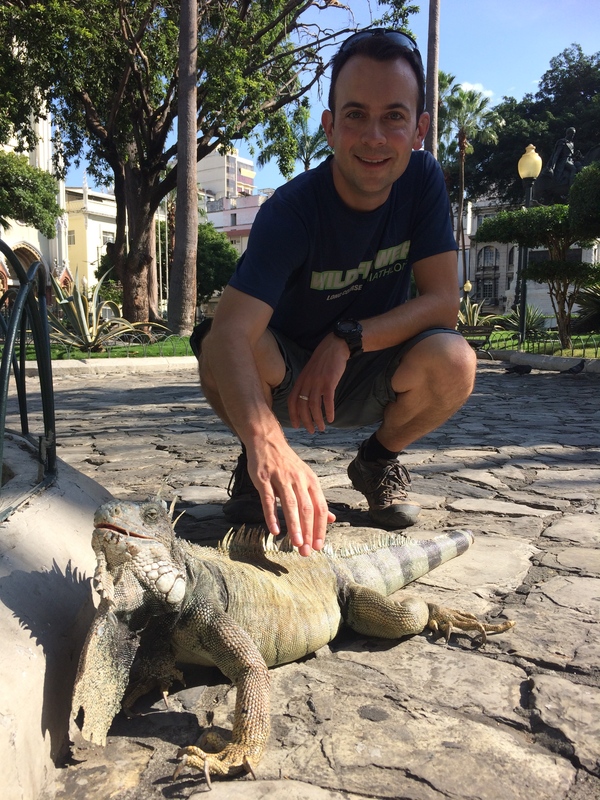 Some were huge–more than 3x the size of pet iguanas I’m used to seeing. Little did we know that feeding time on Sunday mornings was at 9am. 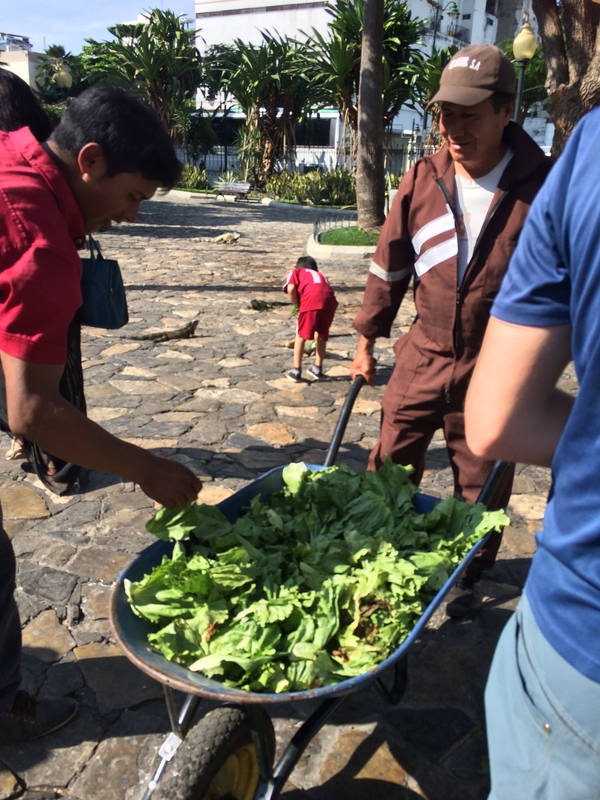 A park attendant appeared with a wheelbarrow full of lettuce leaves. 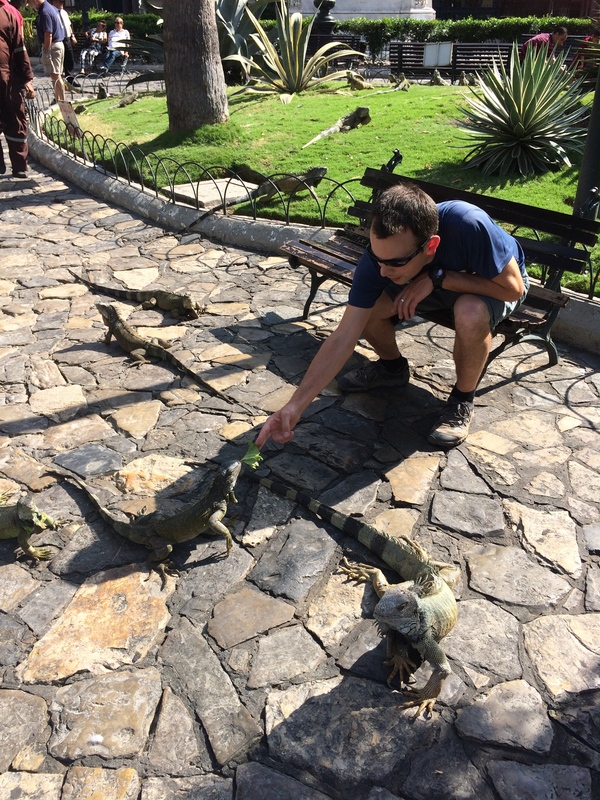 We enjoyed feeding the iguanas despite the NO FEEDING signs. 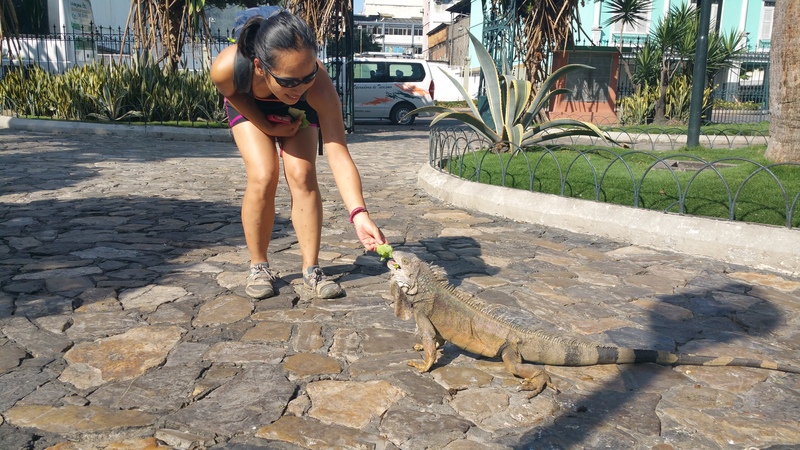 If the park attendant was feeding the iguanas, we were probably all safe to do it too. 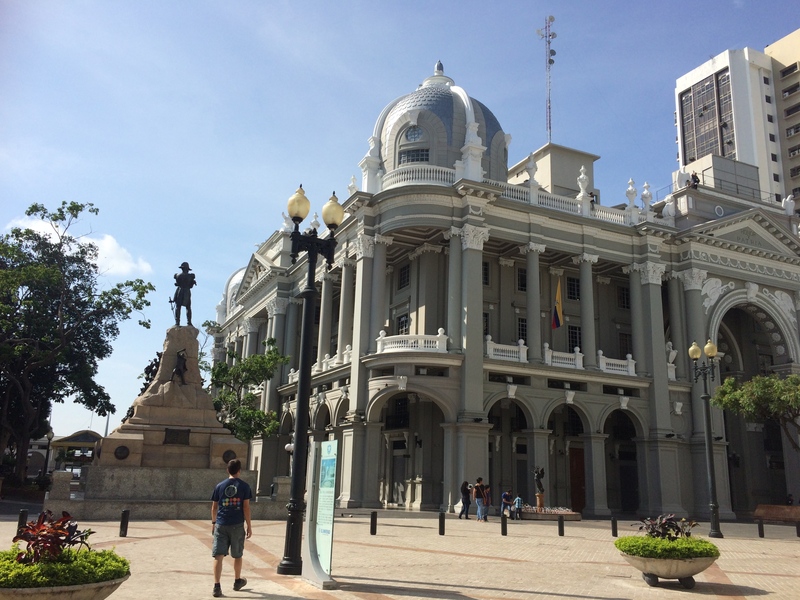 The Malecon 2000, Malecon del Salado, Cerro Ana, and Parque Seminario were just enough to keep us entertained in the sweltering hot Guayaquil. 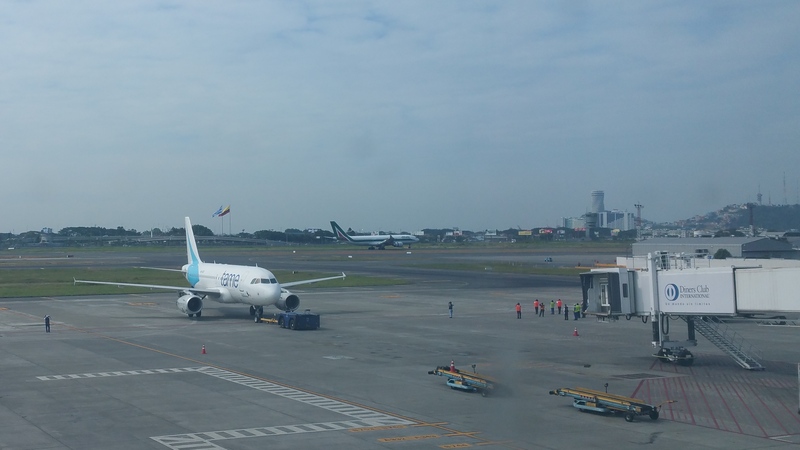 And coincidentally, the day of our departure was the same day as Pope Francis’ arrival to Guayaquil. 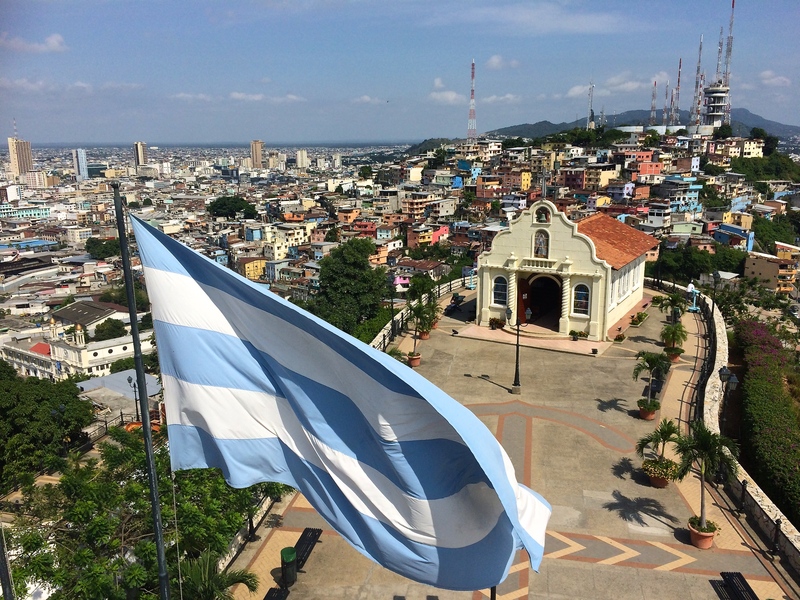 “Papa Francisco,” the first pope ever from South America, had just begun his South American tour with Ecuador. 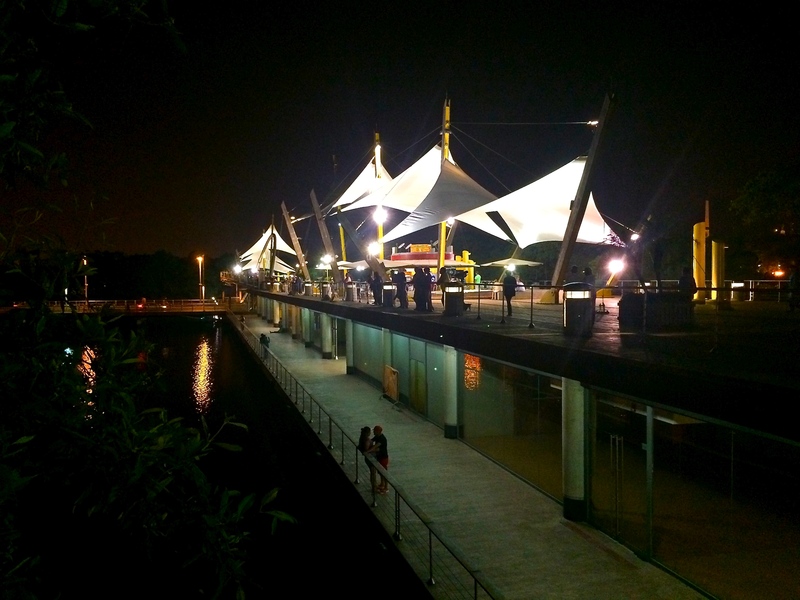 I didn’t think anything of it until I saw just how big of an ordeal it meant to South Americans. Giant banners hung over buildings, posters were being sold, and hats and T-shirts were adorned by almost everyone, all with the pope’s face printed all over them. We were actually at Guayaquil airport waiting for our flight to the Galapagos, watching the pope on TV making his way over from Quito. 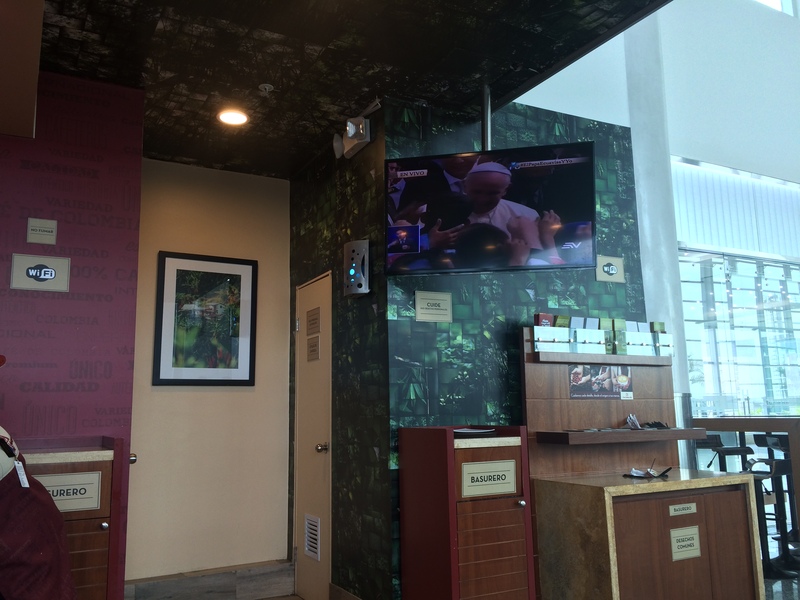 Everyone in the airport, including all the workers, were plastered to the television. Within minutes of his landing, people had lined up against the large glass windows, waiting to snap a picture of his plane. And soon enough his plane landed (see plane in the distance, not the parked plane), which caused an eruption of applause and rancor throughout the airport. Not long after that we began our vacation in the Galapagos. 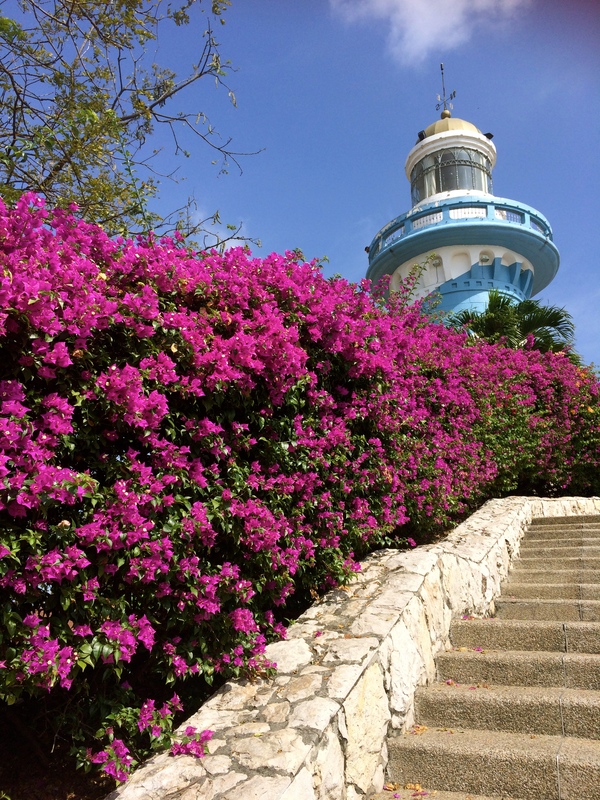 This entry was posted in Ecuador and tagged cerro santa ana, malecon 2000, parque seminario. Bookmark the permalink.